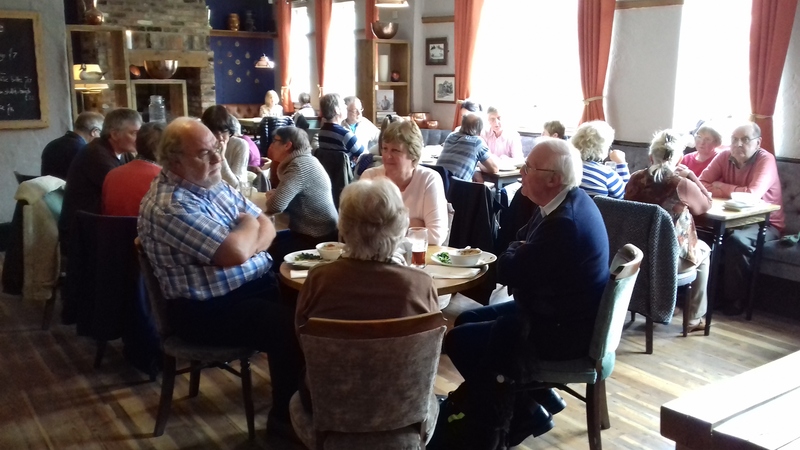 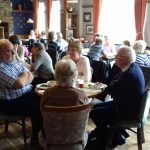 How lucky was that, one of the few spring days this March was the Wednesday of our first Luncheon Run, the cool but sunny weather persuaded 19 members to enjoy lunch at the Black Horse in Little Weighton following a 40 mile spin around the East Riding. 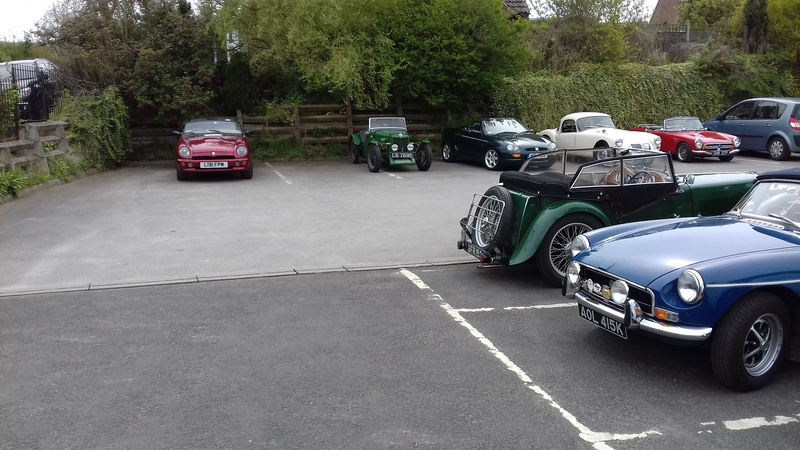 The MG marque was well represented, Nick’s TA being the oldest, Colyn’s 3 the youngest with my B (or ORB as christened by Geoff and Pat) and a couple of modern Fs in between. 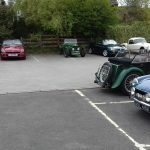 Mel and I have just returned from scouting the route for our April run to the St. Quinten Arms in Harpham, you will be pleased to hear the route today included a couple of floods, lots of mud, more than a few pot holes, but finished on a high with the best Toad in the Hole I have tasted.